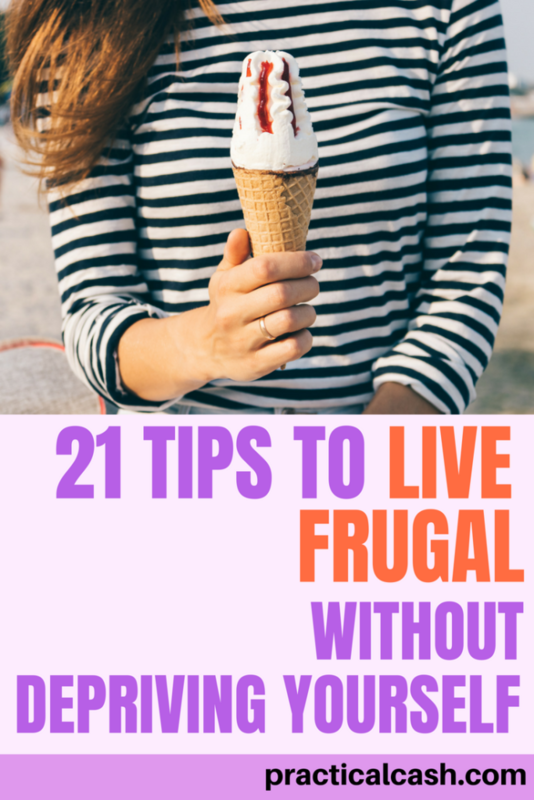 Are you trying to learn how to live frugal? Living frugally isn’t just a personality trait you’re born with. Just like establishing a daily exercise routine or learning how to conquer procrastination, building up your frugality muscles and learning how to live frugal is a habit you develop over time. Maybe you want to pay off debt. Or perhaps you want to save more money because you’re living paycheck to paycheck. Maybe you’ve been laid off from work. Maybe you’re interested in giving more to charity. Or your family might need a new car or fun trip. Identifying why you want to learn how to live frugal is the first step. Sometimes the actions you might take to live cheap take some extra effort and time. So having a frugal goal in mind – the why behind your actions – will make it easier for you to achieve cheap living success. I grew up with frugal parents. But frugal living was born out of necessity, not fun! Once I got a bit older, I realized that they taught me how to live frugal, but I still had to learn how to enjoy the process. Over time, I developed some strategies for how to live frugal and cheap without pain. 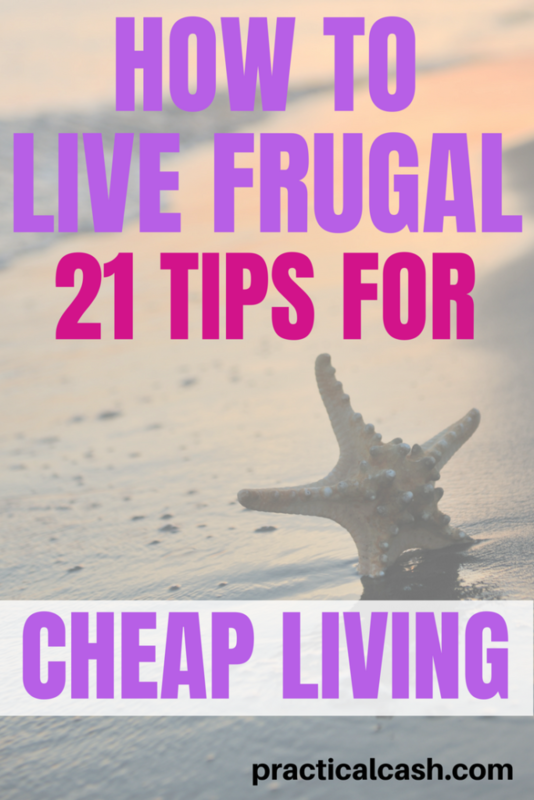 What are your favorite ways to learn how to live cheap and frugal? Do you have any frugal meals or living cheap tips to share? Before you can trim your finances to create more room for paying off debt or saving money, you have to know your starting point. Organize all of your financial paperwork. Create a list of all of your debts. Make sure your taxes are up to date. Have your financial account info ready, including usernames and passwords. List out all of your monthly and yearly expenses. Identify how much money your household currently brings in. What bills are essential? What services or expenses can you cut? And how will you direct the savings? Go through your bank accounts and credit cards statements. For every recurring expense ask yourself: Do I need this service? Must I have this subscription? If it’s a required necessity for your job or career, you might keep it. If you just like it or find it fun, consider cancelling so you can put your money toward your cheap living goals. 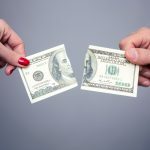 Consider scrapping: satellite radio, Amazon Prime, magazine or newspaper subscriptions, gym memberships you don’t use, water delivery, or music streaming services. Call your cell and Internet provider to see if you can drop to a cheaper plan as you learn how to live frugal. One way you can stop wasting money is by automating your finances with a trusted company called Trim. Trim makes it easy to find extra money to pay off debt since they automatically work with your service providers to get you the best rates. And what if you didn’t have to call each subscription you have to save money? Outsource the pain of recurring bills by signing up with Trim. Check out what Trim can do to help you find more money in your monthly budget today. For the remaining necessary expenses, automate as much as possible. Most bills can be paid online through your bank or auto paid to your credit card. Set up automatic transfers to your savings account every month (make sure to align them with your paydays so you avoid overdrafts). If you don’t feel like messing with spreadsheets or need some help managing your finances online as you learn how to live frugal, check out Personal Capital. Personal Capital is free, takes only about 30 minutes to set up, and allows you to easily track your income, expenses, and net worth online. You simply enter your bank account and credit card info one time, and then the online app updates your debt and income automatically. It also offers super cool graphics and charts to help you manage your money. Your social life doesn’t have to suffer just because you’re into cheap living. Invite your friends to these free activities: dinner or breakfast at your home, a walk or run around the neighborhood, hike a local trail, or game night or puzzle night at your place. Sometimes, learning to live frugal and cheap living means learning to ask for what you need or want. Instead of just buying a second car for infrequent use, you might ask a friend or co-worker to drop you off somewhere occasionally. If you’re looking for a discount on insurance, ask for recommendations on good brokers or deals on social media. Uncovering savings often means asking around. Don’t hire out landscaping, painting, or home renovation projects – organize a work day for your home with a group of friends one weekend, then swap and work on a friend’s place the next. Borrowing tools and free labor means you spend less to DIY. If your grocery shopping list consists primarily of items in boxes and cans, learning to cook from scratch can be a major money saver. 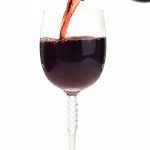 Pinterest is an amazing resource for scratch recipes that are frugal and perfect for cheap living. 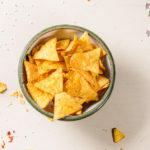 Type in “frugal soups,” “frugal chicken recipes” or “frugal keto meals,” just for example. Once a week, create your frugal meals shopping list. Figure out what every member of your family will be eating for breakfast, lunch, dinners, and snacks every day and add all of those ingredients to your shopping list. Gather any coupons you plan to use, or at the minimum, load the digital coupons from the store you shop at to your store card. Does it make frugal sense to buy bottled water, bottled sodas, and then throw those products away? Not at all. Not only are disposable products bad for the environment, you spend money buying stuff you’re just going to throw away. Chances are you have reusable water bottles around; skip the bottled water and refill from your tap if possible. Here are my favorite products for reducing waste from plastic bottles, grocery bags, and plastic bags. Every grocery store publishes their sale items (called loss leaders) in their weekly flyers (or you can get them online). When you make your meal plan, take the best deals that week and make them the centerpiece for cheap living. If pork loin is on mega sale, plan meals like Shredded Pork or BBQ Pulled Pork Sliders. Buying regularly used items in quantities so you can get a discount is a great way to live frugal. So is shopping discount grocery stores, which offer items at deep discounts when they’ve been marked down by retailers. Just be careful you don’t buy more than what you need (the main reason I don’t have a Costco membership: as a family of three, we are often wasting food because it goes bad before we can eat it all). Preparing your work lunches ahead of time is an easy way to save hundreds every month, compared to eating out. Plus it’s easy to use up tasty leftovers. You can find lots of ideas for make-ahead meals by typing “meal prep” into Pinterest or visiting the Reddit forum /mealprepsunday (lots of people there do meal preps on Sunday, setting themselves up for frugal success for the week). One of the best ways to learn how to live frugal is to turn your focus from spending to fix a problem to researching how to fix a problem yourself. Youtube is a fantastic resource for this. If your dryer breaks, instead of paying for an expensive service call by a technician, find a DIY tutorial and order the cheap part yourself and fix it yourself to save on labor costs. Reduce your utility expense without sacrificing comfort by setting your indoor temperature a little cooler or warmer. For many American families, health care is a major expense. Taking care of your health with healthy food, exercise, weight maintenance, and preventive health care is the very definition of living cheap. Your health care plan should provide certain preventive services every year, such as checkups with your primary care provider and mammograms for women over 40. Make sure you take every advantage of the preventive health care options you have to maintain your health. Cell phone plans and payments can be a major budget drain. Instead of upgrading the minute you can, use your older paid off phone a while longer. Search for alternative providers that might get you a cheaper plan, such as Ting, Republic Wireless, or Cricket. Go in for a family plan with a friend or family member to reduce your monthly cost. Men, women, and children in the United States spend more than 15 billion on clothes and shoes every month. [Source] It’s safe to say that most people have more clothes than they need. If you are trying to learn how to live frugal, stop buying clothes and shoes altogether and just use what you have already. 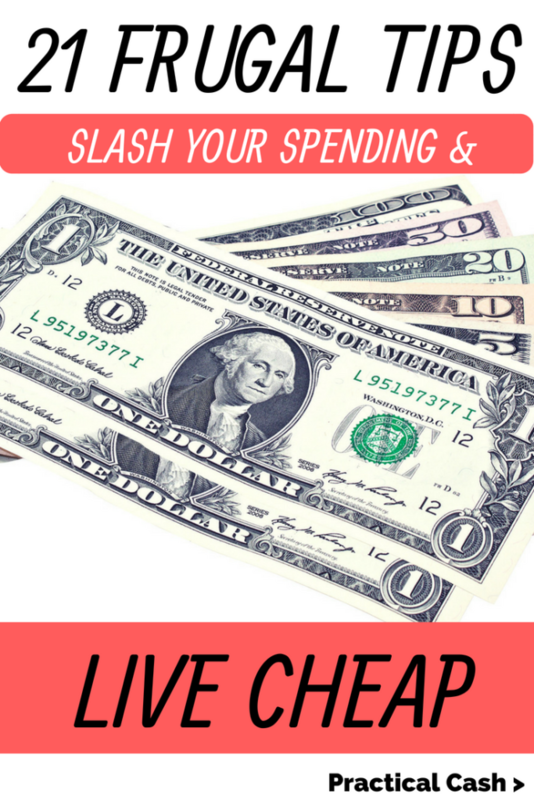 One of the best ways to learn how to live frugal and cheap is to eliminate all spending for a time. This can be a great way to save extra for an unexpected bill or just to get some extra money in savings for a month. The trick is not to inflate your spending in the period before and after your no spend challenge (because then you’re not really saving). Instead, focus heavily on using up items and food you already have, curtailing gas usage, and finding creative ways to save. Great List! I think once you start to do a few of these, it has a ripple effect. I recently switched cell phone companies to Mint Mobile. They have reasonable prices too. I think biggest savings probably come from DIY though. If you can do handy work around the house or fix your car, you’re going to save a ton. Steve, I totally agree. I’m working on developing the patience for DIY! It not only takes the time to do the project, but to learn it if you are starting with close to zero DIY skills. (my unfortunate situation haha) It saves so much, though. My husband and I started tracking our earnings and spending on an app in June. I am disappointed in us. We make over 7k a month. No mortgage or car payments but we do have 2 motorcycle payments. We spend everything wasting most of it. Last night we realized we had 2k unaccounted for so I went through my bank account and calculated debits that had not been entered in the app and they totaled 1200. I’m sick. I can’t believe we are so irresponsible and we are not youngsters either. I’m now looking at how to be frugal and break these bad habits. Lynne, coming to that realization can be so hard. Sometimes the if onlys run through my head, if only we’d started younger, if only we’d saved more. It sounds like you are absolutely on the right path now with tracking and trying to implement frugal habits. I hope you can stay encouraged. 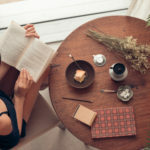 Maybe listing out the frugal things you are starting to do each day in a list (kind of like a gratitude journal, but with your frugal wins) will help you feel at peace. It’s so awesome though that you are doing this now! Thank You! How very helpful! I will start implementing many things on this list!